Chelle Ang is an accomplished pianist and photographer who grew up in Kingston, Jamaica, where she spent countless Saturday mornings at the local movie theatre engrossed in triple-bill martial arts movies, and indulging her voracious appetite for reading fantastic, epic adventure stories. In her late teens, Chelle Ang relocated to the USA, where she studied music and photography, while continuing to explore her love of reading, and writing. She holds MA and MFA in Creative Writing from Wilkes University. 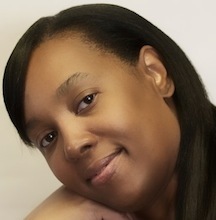 She has written various articles for local daily and college newspapers, as well as television show reviews online for The Script Lab (www.thescriptlab.com), and has been a reader for the Missouri Romance Writers of America (MORWA) Gateway to the Best Contest and the James Joyce First Novel Fellowship. Chelle Ang took a sabbatical from writing when her beloved husband passed away in 2013, pursuing instead, her love of Asian languages, studying Japanese, Korean, and Mandarin, including spending two weeks in South Korea in 2016 to immerse herself in the Korean culture.